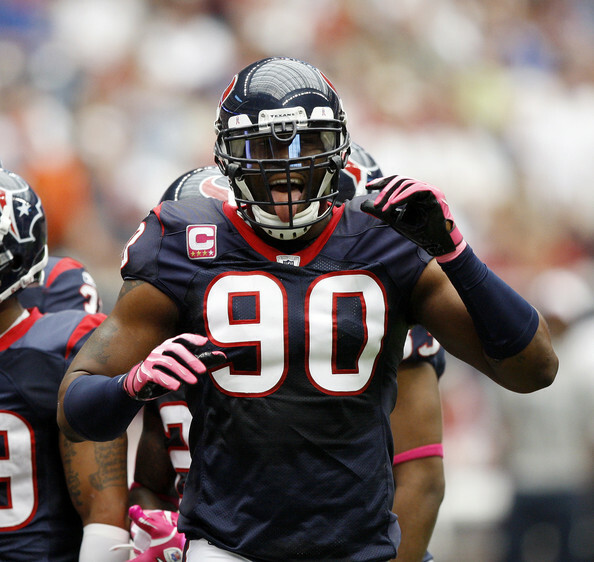 Mario Williams, DE/OLB, Houston Texans – It is looking more and more like Mario Williams might be flying the coup in Houston. The Texans did surprisingly cut their best offensive lineman, Eric Winston, yesterday but it doesn’t look like it was to make room for a new deal for Williams. Let’s be honest. Houston is a young team and should be taking steps to make sure they can keep the core together. Williams missed much of the last season and Houston still ended up with the #2 defense in the NFL. The Texans currently have J.J. Watt, Connor Barwin, Demeco Ryans, Brooks Reed, and Brian Cushing, among others, in their front 7 so breaking the bank for Williams doesn’t seem to make sense. I never thought Williams would be a great fit for Wade Phillips’ 3-4 defense and he may be better off going to a team that runs a 4-3. I think that is what will wind up happening in the end. You could probably use the Julius Peppers’ contract that the Bears signed a few years ago as a template for what the final figures on Williams’ new contract will be. Peppers signed a 6-year, 91.5 million contract with Chicago two off seasons ago and Williams should be expected to match or exceed that. I could see the Patriots and the Bills jumping in but I’m not sure it would be in either front office’s style to blow the competition away with a huge contract offer. Supposedly the Bears have interest but that would be tying up a lot of cap space in one position. The Buccaneers have a ton of cap space and are desperate for help on the defensive line. I expect Williams to here from a whole bunch of different teams come 4:00 PM. 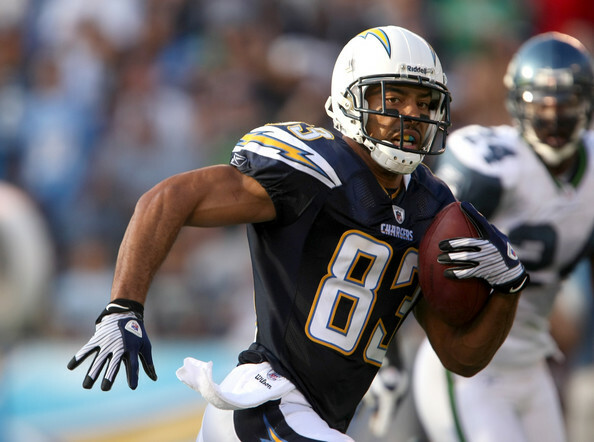 Vincent Jackson, WR, San Diego Chargers – Jackson seems to be the last man standing in the wide receiver market. The Bills’ Stevie Johnson was signed to a new contract and the Patriots’ Wes Welker, the Chiefs’ Dwayne Bowe, and the Eagles’ DeSean Jackson were all hit with the franchise tag. The Steelers’ Mike Wallace could be had but he is a restricted free agent with a 1st round tender so signing him would be at a steep price. That leaves Jackson and the Saints’ Marques Colston as the marquee guys on the free agent market. The advantage Jackson has over Colston is that people see Colston as more of a system guy and think that Jackson could succeed anywhere. Still the grass isn’t always greener and Jackson has a good rapport with Chargers’ quarterback Philip Rivers. I could see Jackson going back with San Diego if he doesn’t like what he sees on the market. I expect the market for Jackson to be robust however. Tampa Bay, Chicago, Washington, Buffalo, New England, Denver could all be involved along with the Chargers, who still hope to retain Jackson’s services. Jackson is a rare specimen, he is 6’5 tall and can stretch the field. He hasn’t had a season over 70 catches however so he might be a great fit on a team that has another top receiver already. Like Williams there should be a ton of teams lining up early for Jackson. 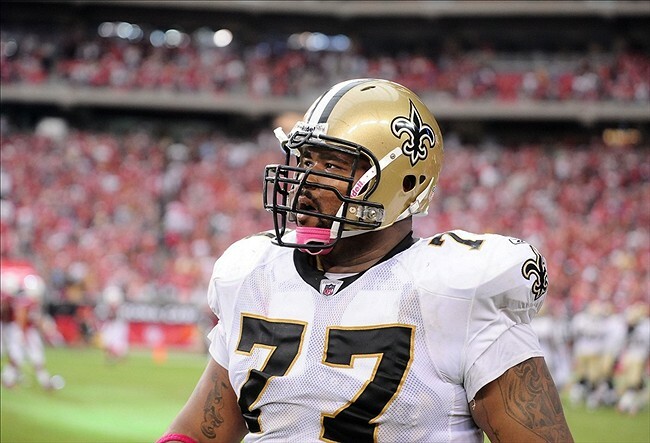 Carl Nicks, G, New Orleans Saints – Nicks is the guy that should have been slapped with the franchise tag by the Saints but New Orleans couldn’t get a deal done with Drew Brees so now Nicks hits the open market. Nicks is an interesting case because his (former?) teammate and fellow guard Jahri Evans signed a 7-year, 51.5 million contract two off-seasons ago and Nicks apparently feels that he is worth more than his line mate. So there’s the market for Nicks. Again there should be a lot of money being spread out in the NFL the off-season so Nicks is hitting the market at the right time. He is an exceptional run-blocker and can automatically upgrade any team’s offensive line. You can count any team with a large amount of cap room that needs help along the offensive line as a suitor for Nicks. That would include teams like the Bengals, the Broncos, the Bears, the Buccaneers, and the Jaguars among others. Expect Nicks to see a rather healthy pay day when it’s all said and done. 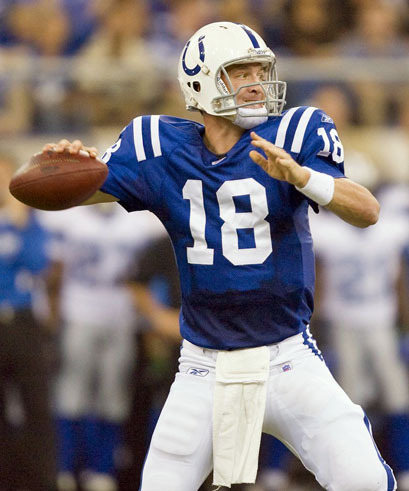 Peyton Manning, QB, Indianapolis Colts – Yeah, this guy is a free agent too. 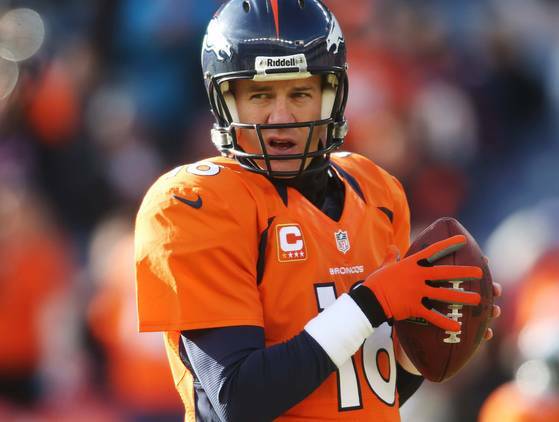 Manning has already met with the Broncos, the Cardinals, and the Dolphins. He plans to talk with the Titans over the next few days and there are rumblings that the Texans may get involved as well. 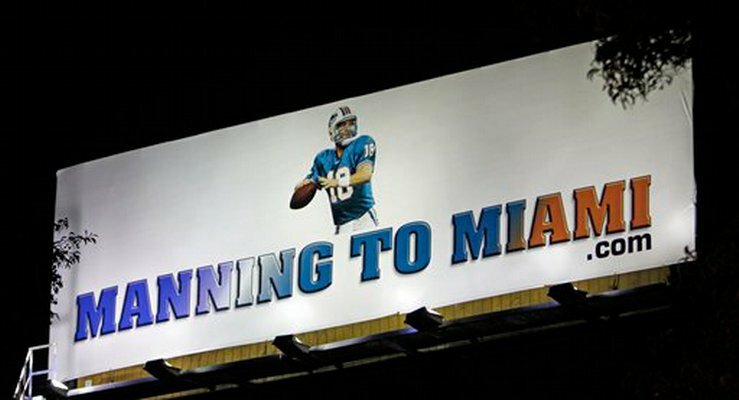 There was a lot of momentum for Miami being Peyton’s landing spot early in the process but that seems to have subsided. From the outside it does look like Miami is in a tough position. Some of the riff-raff like the Redskins and the Jets have been weeded out and now it looks like the Dolphins may actually be on the bottom of the list of remaining teams. Manning is a god in Tennessee where he went to college. The Texans may not just be a Super Bowl contender if they land Manning, they may become the favorites. 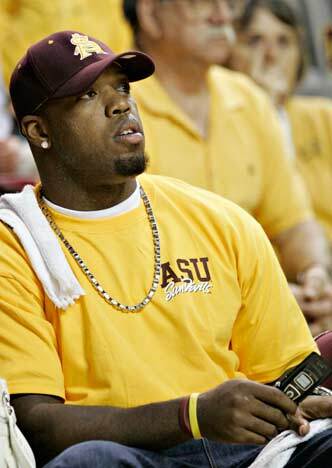 Arizona has the best wide receiver in the game in Larry Fitzgerald and they play indoors. Denver has Hall of Fame quarterback John Elway running the show and 50 million in cap space. I still see Denver as the favorite but Tennessee is an intriguing option and the Texans may become the preferred destination for Manning, we just need to find out how serious they are. Peyton said that he had hoped to make up his mind on a new team by the start of free agency but that doesn’t even look close to being a reality. Manning will probably want to sign soon so his new team can add around him on offense. Matt Flynn, QB, Green Bay Packers – This guy figured to reap the benefits of a team missing out on Peyton Manning but how much of a red flag would it be if the Dolphins, in desperate need at QB and former Packers OC Joe Philbin now at the helm, take a pass on Flynn? 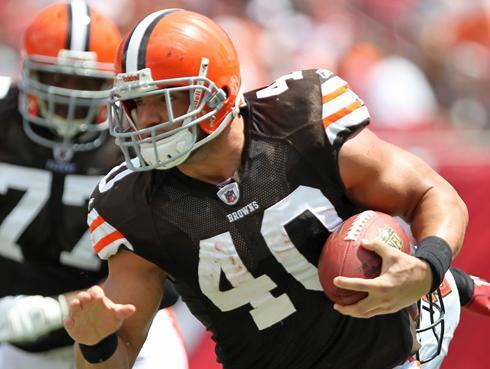 Peyton Hillis, HB, Cleveland Browns – The reigning Madden cover boy is an afterthought in free agency. He’ll probably never match his 2010 production but he could help a team if he’s paired with a speed back. Marques Colston, WR, New Orleans Saints – Colston has been uber productive with Drew Brees and the Saints offense but their will be concern with whether or not he is a system guy. The same goes for his teammate Robert Meachem. Former Colts Reggie Wayne and Pierre Garcon are out there as well but one wonders if one or both wait on Peyton before they make a decision. Mario Manningham, WR, New York Giants – Manningham is in an enviable position. His Super Bowl saving catch will be fresh in the minds of GMs and that should help him come contract time even though he has been an inconsistent player in his time in the league. Eric Winston, T, Houston Texans – This was a surprise cut yesterday. He is a top 5 right tackle and will be a huge upgrade for some team out there. 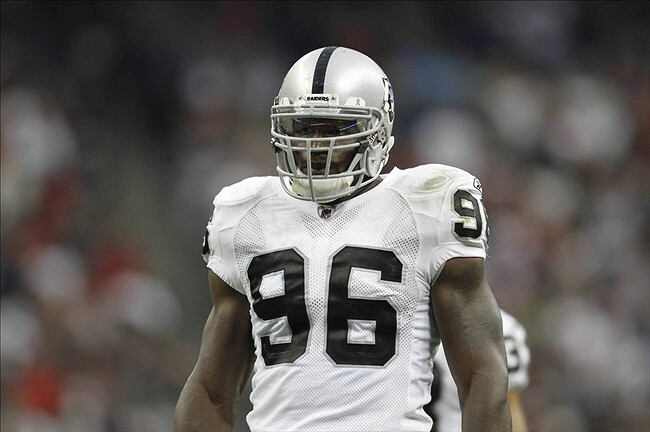 Kamerion Wimbley, DE/OLB, Oakland Raiders – This guy is being cut by the Raiders today. With Mario Williams out there he is a huge under the radar guy. He’s had 16 sacks over the past two seasons. He can play in the 3-4 or 4-3…could be a huge upgrade for a team. London Fletcher, LB, Washington Redskins – One of the best defensive players in football over the past decade has never signed a contract extension. He’s never been cut either. He’s played out every contract and never been re-signed. It looks like he’ll be on the 4th team of his career next year. Brandon Carr, CB, Kansas City Chiefs – Carr is the best FA cornerback on the market. He’s only 26 and would be a top corner on many teams. There should be some interesting moves coming up in the next 72 hours. I think John Elway really showed his hand this week when he aggressively went after Peyton Manning. He clearly does not see Tim Tebow as the long term answer at quarterback and saw an opportunity to replace Tebow with the only guy he could replace him with without causing a fan revolt. Now the question is what happens if Peyton goes somewhere else? The Redskins gave up a lot to secure the 2nd pick in the draft and Robert Griffin III. Griffin will now be the guy who makes or breaks Mike Shanahan’s tenure in Washington. One thing that is for sure is that the twice a year Vick/RG3 match-ups should be fun to watch. How much will Miami overpay for Matt Flynn if they lose out on Manning? I’m already bored with preseason baseball. Can we get the actual games going already? The NHL season will be coming to an end soon and then the three month run to the Cup begins. Will Peyton Manning land in the AFC East? New York Jets: For his first two years in the league quarterback Mark Sanchez was dubbed “The Sanchise”. The Jets made the AFC Championship game in each of his first two years. Now after an 8-8 season they are ready to throw him into the scrap heap. 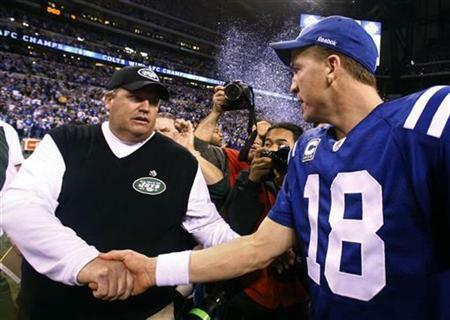 The Jets were in turmoil at the end of last season and even though Sanchez may have been the least of their worries we all know that head coach Rex Ryan loves attention and would love to bring in Peyton Manning to make fans forget about the locker room woes on 2011. Their receiving corp has malcontent Santonio Holmes and they have Shonn Greene coming out of the backfield. Dustin Keller is a weapon at tight end that Manning would love to utilize. The Jets have one of the top defenses in the league. Obviously the big story about Peyton playing for the Jets would be that he was playing in the same city as his brother. We’ll hear the jokes about Archie and Olivia Manning’s reduced travel schedule or the Manning duplex but I think this might be more of a deterrent than an advantage. Eli has built himself into an icon of New York City after spending much of his career in Peyton’s shadow and I’m not sure Peyton is ready to step back into his spotlight. Also it needs to be acknowledged that the turmoil and the in-fighting in the Jets clubhouse was very real at the end of last season and Peyton would probably need assurances that it’s in the past. The problem with that is that public enemy #1, Santonio Holmes, is virtually unmovable and Rex Ryan has too much pride to change his coaching style for one player. Still they will go all out if they really want him and they will probably be one of the better teams to make a run at Peyton. Buffalo Bills: The Bills just signed Ryan Fitzpatrick to a 6-year, $59 million extension during last season. Fitzpatrick is no Manning but he is the most productive Bills quarterback statistically since Jim Kelly. 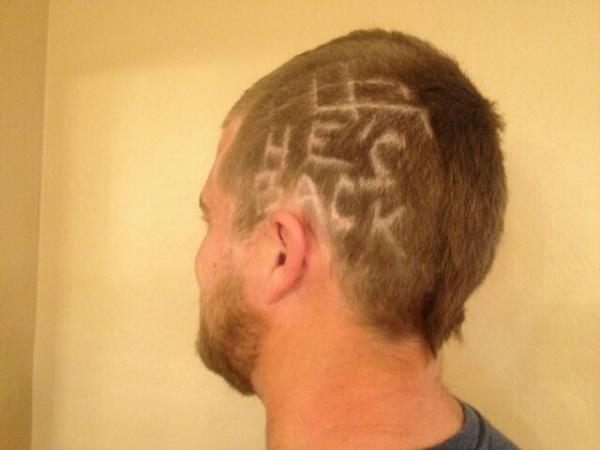 Also his favorite receiver, Stevie Johnson, just signed a 5-year extension himself and Fitzpatrick shaved his head into a mohawk with a #13 and the words “he’s back” shaved into the side of his head. I don’t think he would have done that if his job was in jeopardy. In the end, even if there was serious interest from the Bills, I don’t think they’d crack the top of the list of his preferred destinations. They might stick their toes in the pool but I don’t see them going much further than that. New England Patriots: For the past 11 seasons it’s been 1A and 1B. They already have one, they don’t need the other. Peyton Manning will be released by the Colts today. It’s weird just to write it. Imagine if you had just read that the New England Patriots were going to release Tom Brady. If you had told someone either of those things this time last year people would have called you crazy. Now one of the greatest quarterbacks of all-time is going to hit the free agent market. Not because his contract is expiring and he will be too rich for his new team to pay him but because the Indianapolis Colts decided to replace him with Stanford QB Andrew Luck and cut him outright. In an industry that has been as cut-throat as any in its history no bigger athlete has had his contract terminated by a team than Peyton Manning. Obviously the question is can he still play? Judging by how quickly 8 or 9 teams have already jumped up to greet him at the door as he enters free agency I’d say that’s a pretty good sign. Couple that with the positive medical records over the past few weeks as well as the leaked video of him throwing (leaked by his camp no doubt) and it doesn’t look like Manning is ready to walk in the sunset. He’ll be supremely motivated as well after what’s gone on in the past few weeks, months, year. Remember, each team will give him a physical by their own team doctors so if an offer is extended you’d have to assume that the doctors liked what they saw. Sure he could just retire regardless, he holds a ton of league passing records and he’s won a Super Bowl, but would a Hall of Fame quarterback really want to go out like this? Cut by a franchise that he turned around and made relevant because he was injured and the team fell apart without them which allowed them to position themselves to draft the next, well, Peyton Manning? Instead Peyton Manning will enter free agency and play out his career for another team. I estimate that 15 teams – the Giants, the Eagles, the Rams, the Lions, the Packers, the Falcons, the Panthers, the Saints, the Patriots, the Raiders, the Chargers, the Ravens, the Bengals, the Steelers, and the Colts – will not even do due diligence on Manning due to their current QB situation. That leaves 17 teams that could look into the situation. Out of the 17 a few might to some due diligence but never fully jump into the pool. I can see the Bears, Bills, and Broncos fitting into that group. And while there may be no better fit for Manning to go and be a Super Bowl contender right away than the San Fransisco 49ers, word is that they have an offer out to incumbent QB Alex Smith. With Manning hitting the market I think it might be wise for Smith to sign that contract soon. In the end these are the teams that will definitely be in the running – the Redskins, the Dolphins, the Seahawks, the Cardinals, the Chiefs and the Jets. You can add a few dark horse teams in there. Le me throw something out there for you – the Dallas Cowboys. We all know Jerry Jones loves the attention and how much longer is the Tony Romo experiment really going to go on in Dallas? Most of the talk is centered around Washington and Miami but keep an eye on Kansas City. They have a new coach, Romeo Crennel, who won three Super Bowls on Bill Belichick’s staff in New England, a Pro Bowl running back in Jamaal Charles, and a tough defense. It would be tough for Matt Cassel to lose his job because of an injury but it’s tough for him to complain when the same thing just happened to one of the greatest free agent of all-time. Peyton Manning is going to be a free agent. You can put his name on the list along with LeBron James, Alex Rodriguez, Shaquille O’Neal, Reggie White, and Pete Rose as the biggest guys ever to go out on a free agent market. All those guys had expiring contracts. Peyton is getting cut. The turk is coming for Peyton Manning. Guys like Joe Montana and Brett Favre put on another uniform at the end of their careers but they were traded by their old teams, not outright released. One thing for sure is that we’re a far cry from where we were last off-season in the NFL. This time last year a lockout was starting. One year later Peyton Manning is hitting the free agent market. I could see the conversation last year going something like this. Maybe it was a family member, a coach, or an adviser trying to give advice to a bright young kid who was completing his 3rd year at one of the finest institutes of higher learning in the country and ahd a life-atlering decision to make. “What’s the worse that can happen, you get hurt? Even if you do you’ll have a degree. Besides it’s not like Peyton Manning is going to get hurt, miss the season, the Colts will tank, Manning and Colts owner Jim Irsay will head for a messy divorce and you will be called on to rebuild the team that Peyton build in the brand new house that Peyton built.” Whoops. 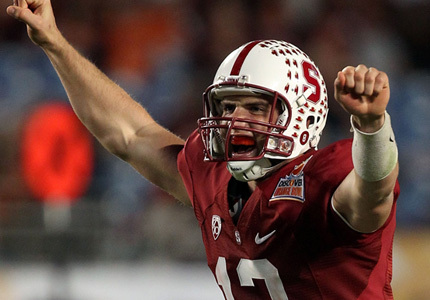 Roughly 13 months ago Stanford quarterback Andrew Luck decided to return to school after his red shirt sophomore season rather than go pro and enter the NFL draft even though he was viewed by many scouts as the consensus #1 pick. The Carolina Panthers held the #1 pick in the draft last year. Despite his head coach Jim Harbaugh jumping ship to the NFL Luck decided to stay in school, earn his degree, and try to win a national championship with the Cardinal. There are a lot of things that factor in a kid’s decision to stay or go. There is the injury risk, the possibility of bringing home a championship or a Heisman Trophy to your school, confidence in your ability. Maybe you didn’t feel like you were ready for the fame and money. Maybe Luck simply didn’t want to play in Carolina although I can think of worse places to spend your time than Charlotte, North Carolina. Whatever the reason Luck made the decision and stuck with it. The only problem when you make that decision is that you don’t have a crystal ball handy. There are no doubt dozens of scenarios popping through your head in the time between when you make your decision and when everything actually plays itself out. One of the most unlikeliest of scenarios is about to play itself out for Luck. Luck stayed in and Auburn QB Cam Newton came out. Newton wasn’t as polished as Luck and he didn’t perform all that well at the NFL scouting combine but he had a world of upside. With Luck out of the picture the Panthers had to decide if Newton could do the job they envisioned that Luck would do, anchor a rebuilding process that would bring a winning team to Carolina. 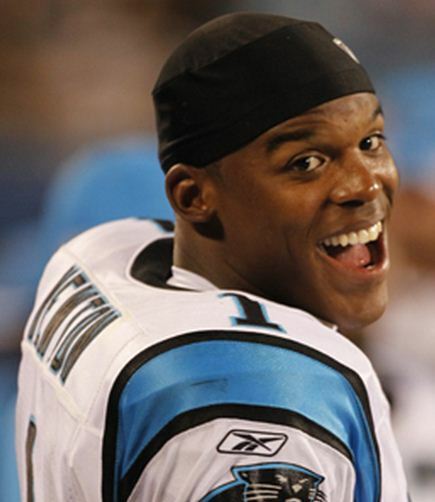 Ultimately the Panthers decided that Newton was in fact worth it and made him the 1st pick in the 2011 NFL draft. Newton was lights out in his rookie year in Carolina. He threw for 4,051 yards and ran for another 706. 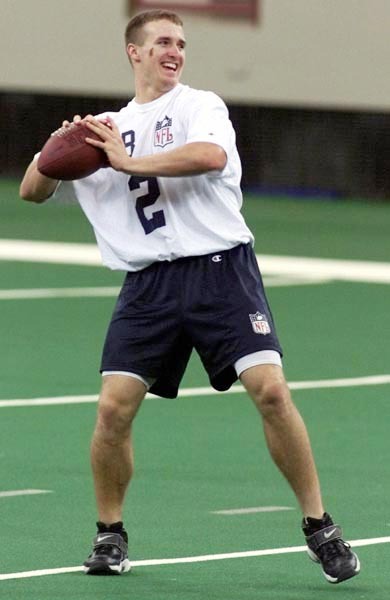 He threw for 21 touchdowns and ran for another 14, giving him a grand total of 35 in his rookie season. Newton looks to be the savior in Carolina and in his first year as starter he already bettered the Panthers by 5 wins. Now if Luck was drafted by Carolina then Newton would have likely fell to the Buffalo Bills or Carolina Panthers. If Newton got drafted by the Bills then Ryan Fitzpatrick doesn’t cash in on his multi-year, multi-million dollar contract halfway through last season. Also the Bills wouldn’t have Marcell Dareus, a centerpiece to re-build their defense around during this off season. If the Bills liked Dareus over Newton anyway than the Bengals at #4 would have selected him. If they did than they wouldn’t have selected receiver A.J. Green with their first pick and they wouldn’t have selected quarterback Andy Dalton with their 2nd pick. All Green and Dalton did this year was lead the Bengals to the playoffs, make the Pro Bowl, and finish 2nd and 3rd behind Newton in the Offensive Rookie of the Year voting. Andrew Luck’s junior season played out almost as well as he could have hoped but he failed to reach both of his ultimate goals. The Cardinal went 11-2 during the regular season but could only finish as the #4 team in the country and suffered a heartbreaking overtime loss to Oklahoma State in the Fiesta Bowl. Then, for the second year in a row, Andrew Luck finished 2nd in the Heisman Trophy voting. Despite failing to reach his goals Luck stayed consistent and re-established himself as the prospective #1 pick in the upcoming NFL draft. Over in the NFL however things were playing out in a very different manner than what was expected. 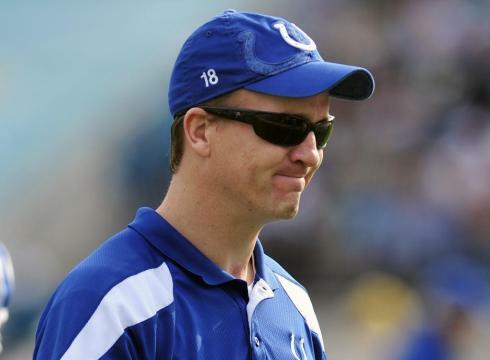 Colts quarterback Peyton Manning was lost for the season to neck surgery right before the season and the Colts absolutely tanked. They went 2-14 and secured the #1 pick in the NFL draft during the last week of the season. Now the Colts plan on taking Andrew Luck and will likely jettison Peyton Manning rather than pay him a $28 million roster bonus in early March. So Luck will replace Peyton Manning. 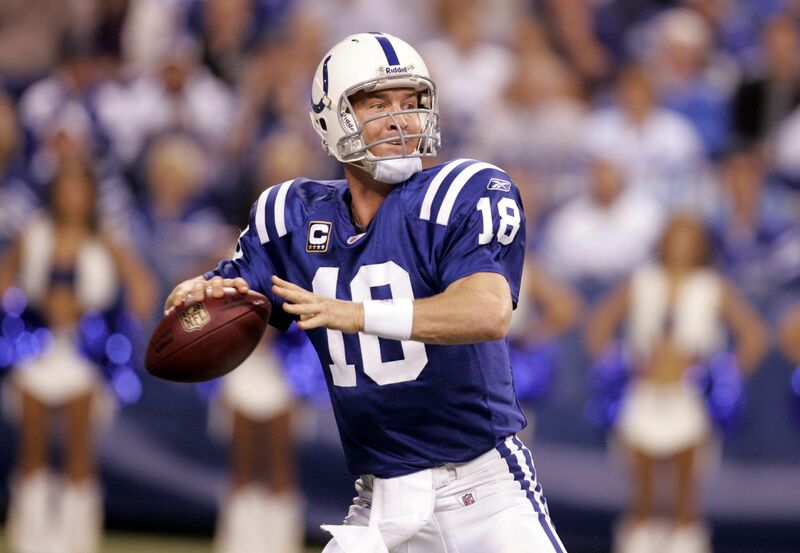 Peyton Manning wasn’t just an Indianapolis Colt, he was the Indianapolis Colts. 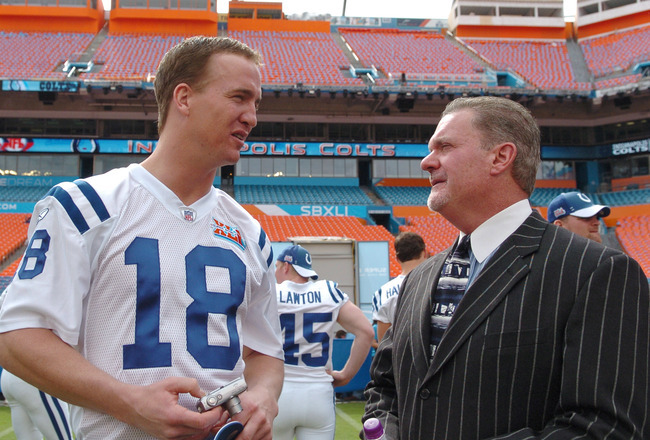 What makes matters worse is that things might get even uglier in Indy between Manning and Colts owner Jim Irsay between now and early March and the strong likelihood is that Peyton will be playing in another city for another team while Luck tries to re-build the Colts. Luck should probably seek advise from Eli Manning because Peyton will cast a rather large shadow on Luck during the early part of his career. Every single thing that Andrew Luck does from here on out will be heavily scrutinized and put under the microscope. For the past two years many pundits have called Andrew Luck the best quarterback prospect to come into the NFL since Peyton Manning. Now not only will he have to continue to wear that mantle around his neck but he will have to literally step into Peyton’s shoes while wearing it. And it all starts in two weeks at the annual NFL Scouting Combine held in, yup, Lucas Oil Stadium in Indianapolis. The house the Peyton built. I guess if you are going to step into the arena you might as well go right into the lion’s den.